Here at the dental office of Dr. Bryan Stephens, we believe that becoming familiar with your mouth is essential to keeping you and your body healthy. That’s why we spend time getting to know you and your smile before we begin any work. The better we know your smile, the more likely we are to detect problems as they arise. We make sure to always check the health of your gums because periodontal disease has been linked in study after study to major health issues such as heart disease, worsening diabetes and cancer. And because balance and comfort are major components of good health, we also do an occlusal analysis (an evaluation of your bite that examines how your teeth come together and function) at every screening. We have invested in state-of-the-art diagnostic equipment to help us find and diagnose problems early and accurately, and take care of them before they develop into more severe issues. We use the latest tools such as digital and panoramic x-rays for caries (cavities) identification. Oral cancer affects approximately 35,000 Americans each year and it is one of the few cancers for which numbers are increasing instead of decreasing. That’s why we take oral cancer screening so seriously. 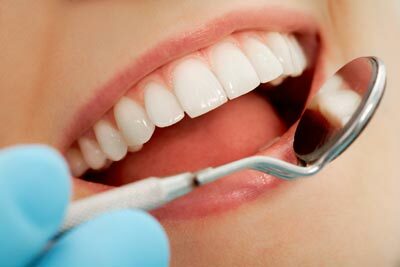 We recommend that every new patient receive a mouth cancer screening. In fact, it is so important that we do it at every hygiene visit. Our experience with Dr. Stephens is always a good one. The customer service is great, everyone is friendly and helpful and the environment is clean and comfortable. There is never a long wait for either Dr. Stephens or the hygienists and the front desk staff is always helpful and pleasant. The truth is, we left to go to an in network dentist recommended by our insurance and we came back to Dr. Stephens!